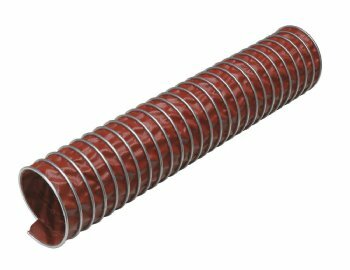 Single-ply economical silicone/fiberglass duct designed for vehicular exhaust extraction and high temperature air transfer. Ultra flexible mechanical lock construction provides superior tear and tensile strength and eliminates wire movements found in traditional single-ply duct. Air tight construction. Uniform flexibility and compressibility reduces exhaust turbulence and pressure loss.